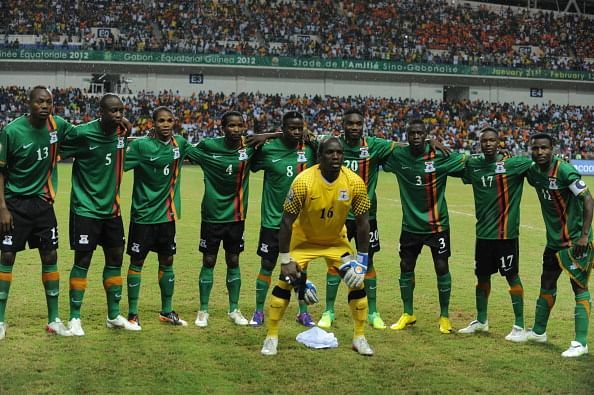 Ahead of their 2018 FIFA World Cup qualifier against Cameroon next month, Zambia are looking to arrange a friendly against Ghana or Uganda. Information doing the rounds is that the Football Association of Zambia are aiming to face the Black Stars and the Cranes to prepare for the Indomitable Lions. Following their 2-1 loss against Nigeria in the qualifiers, they want a strong West African side to enable them a proper preparation. It is also reported that FAZ have organised a camp for local-based players to resume training as they want to down the Cameroonian side. According to Chipolopolo's team manager Stanley Kaseko, he said the Chipolopolo technical bench had requested FAZ to arrange two friendlies before the tie against the Indomitable Lions. “From our programme, we had requested the association to arrange two friendly matches before playing Cameroon,” Kaseko tells the Post of Zambia. “We would like to have quality friendlies; we suggested teams from West Africa or East Africa. We would appreciate if Ghana or Uganda can come on board. Wedson Nyirenda's Chipolopolo remain rooted at the bottom of Group B following their 2-1 loss to the Super Eagles in Ndola two weeks ago whilst Cameroon drew 1-1 against Algeria.